Amazing: Texas Congressman Fights to Free Imprisoned Navy SEAL Hero! Rep. Dan Crenshaw is making a major push today to get Navy SEAL Chief Edward Gallagher freed from prison. Gallagher has been placed in the Brig alongside convicted pedophiles, rapists, and even murderers. Conditions are so bad, his children have to wear hospital gowns when they visit and are only allowed to hug him once because it might 'excite' the pedophiles he has been locked away with. This hero answered the call to fight for you and your way of life. In his time of need, I am asking you to fight for him! Please help free this American hero! Send your instantly delivered FaxBlast to Congress and FORCE them to help Rep. Crenshaw free Navy SEAL Chief Edward Gallagher, before it's too late! I am demanding that you join Congressmen Duncan Hunter and Dan Crenshaw to help get Navy SEAL Chief Edward Gallagher released from prison. Navy Special Warfare Operator Chief Edward Gallagher is an American hero. 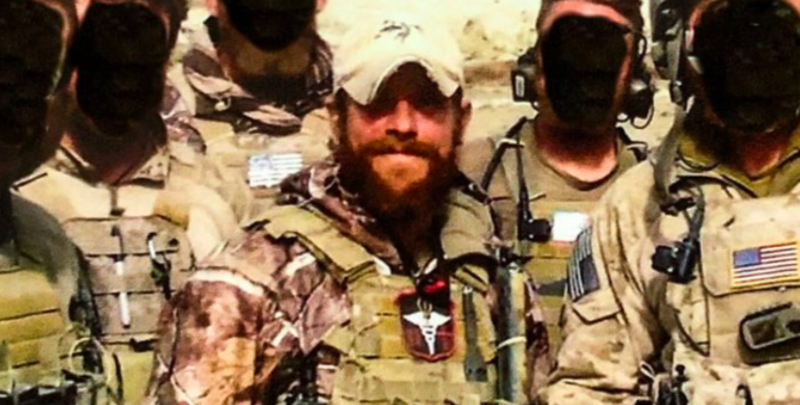 A highly decorated Navy SEAL, Gallagher has twice received the Bronze Star for Valor for his service on SEAL Teams 1 and 7. Today, he is sitting in the general population at San Diego's Naval Consolidated Brig Miramar awaiting trial. His crime? Navy prosecutors accuse Gallagher killing an ISIS terrorist in a war zone and then posing for a photograph next to the body. Actually, that's not correct anymore. A Navy Judge tossed the photograph charge. The prosecutors couldn't prove that it happened. The foundation of the prosecution's case -- the only real evidence they had -- was just completely tossed out. But the Navy is still moving ahead with the 'murder' charges. The evidence against this man is non-existent and Gallagher's treatment has been appalling. Edward Gallagher was literally the tip of the spear defending our freedom and our way of life. Why are you allowing this to happen to him? He answered the call to protect you. Why won't you fight for him? I am demanding that you join forces with Rep. Hunter and Crenshaw and do everything in your power to get this American hero released.